High-waisted jeans are having a moment right now, so stock up. High rise denim brings some benefits—they help reduce the appearance of any bulging at the waistband because they sit higher on the torso than low-rise jeans. Today’s denim has a lot more stretch, which will make your high-waisted jeans much more comfortable than they were back in the ’80s. Just make sure to look for pieces that have at least 2% spandex for max comfort. If you’re curious about the high-rise look but not ready to take the plunge, consider experimenting with a mid-rise for an on-trend look that remains timeless. Play with different styling techniques such as a messy shirt-tuck or cuffing to create a customized look that enhances the style of the jeans. How to Style Black High Rise Jeans: Go monochrome with a black top and a pop-color shoe. A head-to-toe black look will look sleek and chic. 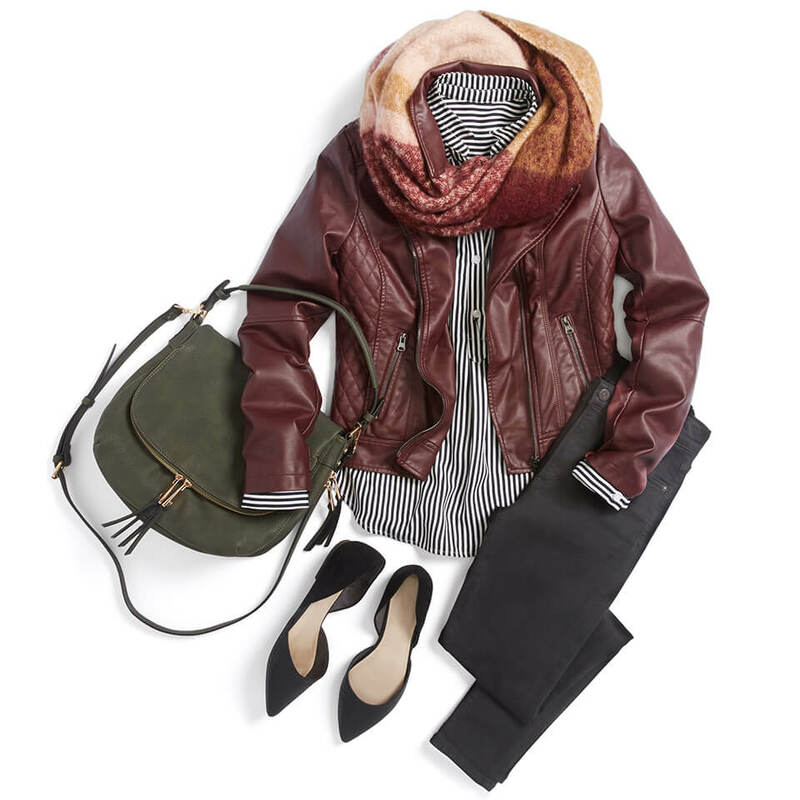 Take it to work with a button-up and a cool leather jacket. How to Style Distressed High Rise Jeans: Style your distressed high rise jeans with a basic tee for the weekend, paired with sneakers for all day comfort. How to Style Light Wash Hight Rise Jeans: Sport the denim-on-denim trend with a chambray top with your light wash high risers. Do a messy front tuck for the days when you want to run out the door and go. Remember, denim is very personal and highly individualized—the ideal jean should allow you to feel amazing without sacrificing comfort. How do you style your high waisted jeans? Tell us in the comments!